celebrate American Heart Month with fresh-tasting recipes low in sodium, saturated fat, and cholesterol. Presented by Chef Lynn Ware. 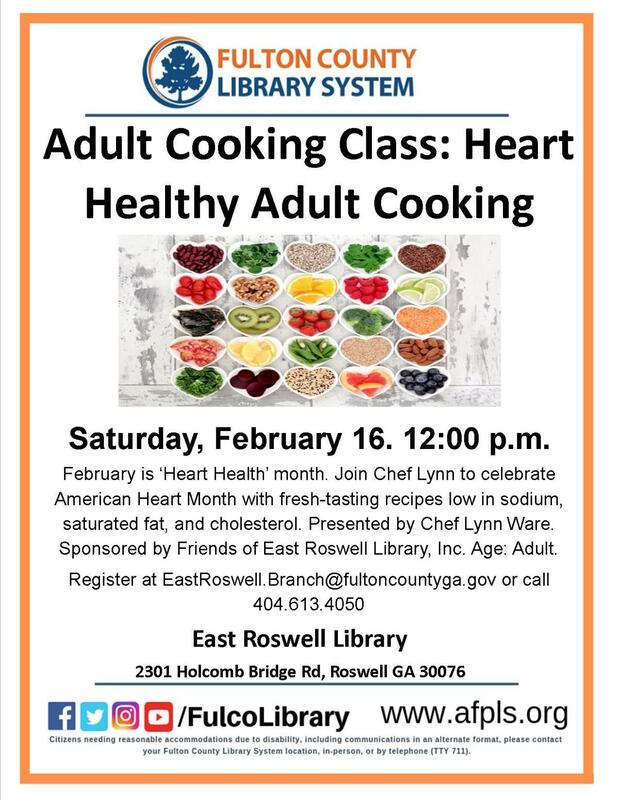 Sponsored by Friends of East Roswell Library, Inc. Reservations required. Ages: Adult.